7 x 6.3 in., photographic print. 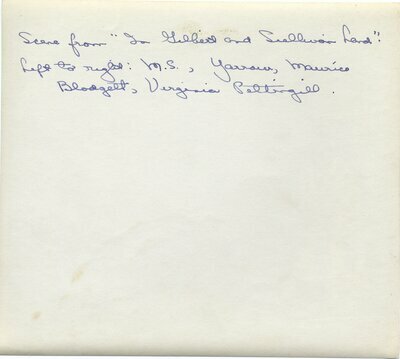 Back of photograph showing Muriel Simonson, [Yaudier ? ], Maurico Blodgett and Virginia Pettingill performing in 'In Gilbert and Sullivan Land,' a play produced at Tufts in February, 1929.